The 2015 Catholic Services Appeal (CSA) has already reached and surpassed its goal of $3.1 million, with several months still to go in the campaign. The Archdiocese of Louisville’s Office of Stewardship and Development reported the number of gifts and pledges totaled $3,169,677, as of March 3. The success of the campaign “demonstrates the generosity of donors and a commitment to the work done by the archdiocese,” Nick Eve, the director of the Archdiocese of Louisville’s Office of Stewardship and Development, said in an interview last week. Among the 100 or so services and agencies supported by the appeal is the Catholic Enrichment Center (CEC). Without this support the CEC, located at 3146 W. Broadway, would not be able to offer a fraction of the services and programs it provides. The center hosts Camp Africa Inspire each summer, a day camp for children; healthy cooking classes for teens; and exercise classes, such as Zumba, to name a few. 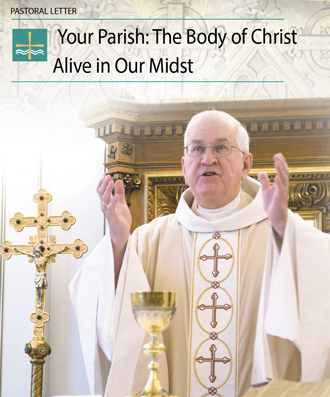 To date, 55 of the 111 parishes in the archdiocese have reached their target goal for this year’s CSA campaign. An additional 20 parishes are at 90 percent or more of their goal, Matthew Schuhmann, coordinator of annual giving for the stewardship office, said. This time last year, about 47 parishes had hit their goal, he said. “They have done a great job in building on the success of previous years. We’ve seen an increase in every year since we revamped it following the Building a Future of Hope,” he said referencing the archdiocesan-wide capital fundraising campaign conducted from 2008 to 2010. Schuhmann also noted that he thinks people are connecting with the stories being told through CSA promotional materials, such as video vignettes that are posted on the CSA’s website and social media sites. Donors are able to see, he said, what their gifts bring to the church community. “Without the generosity, compassion and desire to help to bring Christ to others, the success of the campaign wouldn’t be possible,” he said. Schuhmann also said the camaraderie and playful competition among the presbyterate have also been critical to the success of the CSA. “Within the brotherhood of priests, there is a lot of dialogue. Priests are sharing best practices. This brotherhood is really challenging and supporting each other,” he said. Schuhmann and Eve said the campaign isn’t considered a success solely because the goal has been met. It’s successful, they said, because there is active participation across the board — by pastors, parish leaders and donors alike. “Every gift received is a sacrifice made by donors to carry out the work of Christ throughout the archdiocese,” Schuhmann said. To learn more about the CSA, visit www.archlou.org/csadonate.